Nilkamal brings you with the very handy and beautiful Garden Mini Cup and saucer Planter in sea green colour. Which is the must have mini cup. The Mini cup just looks amazingly cute and beautiful with the very catchy and attractive colour which will complement you. 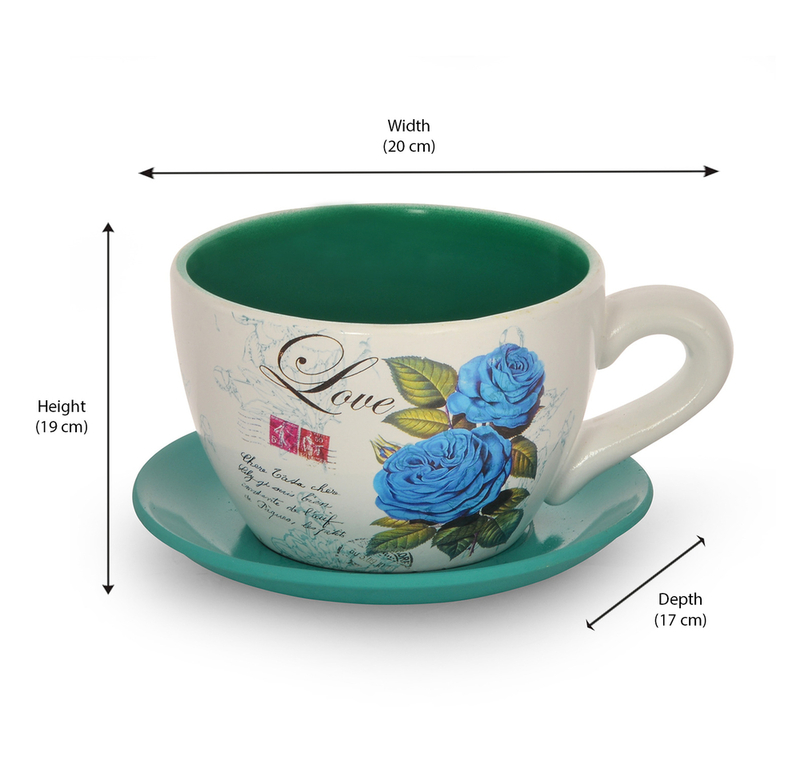 The width, depth and height of the Mini cup and Saucer Plate is 200mm, 170mm and 190mm. The Mini cup and saucer is made of Terracotta and the weight of the product is 620g. It is very easy to use and handle the Mini Cup and Saucer Plate. You can use the cup and saucer for drinking tea, coffee which looks amazingly beautiful. The saucer will help give support to the Mini cup and you can put the cup at a place in Saucer Plate. The most attractive thing about the product is its colour and design, the floral and very catchy sea green colour gives the mini cup very fresh and calm look, with the very classy green Saucer Plate. Handling and storage is very easy, you can wash it simply and use it again. You can get this beautiful cup set from @home.